Provision of a variety of health strategies, approaches and solutions based on integrated eastern traditional practices. This health service is designed for the needs of the busy individual who values quality, authentic treatment, individual attention and care. Our aim is to provide an elite service that meets the highest standards of health care and maintains the core values best understood in traditional health systems – treating the causes rather than just symptoms of disease or illness. Fully qualified and insured, Rebecca is dedicated to delivering highly effective health strategies and approaches. To enhance the effectiveness of training, treatment strategies and health outcomes yoga and chinese medicine are used interchangeably. Both approaches compliment each other and complete a picture of an ‘energetic body’. Each in their own way provide a unique anatomical framework, explain physiological functions and provide frameworks for an integrated understanding of the connection between our body and mind. Yoga sessions are taught in a classical Hatha style, incorporating strong influences and methods taught by the highly respected and revered BKS Iyengar, founder of Iyengar Yoga. The aim is to familiarise you with the basic fundamentals for understanding a balanced energetic physical discipline. 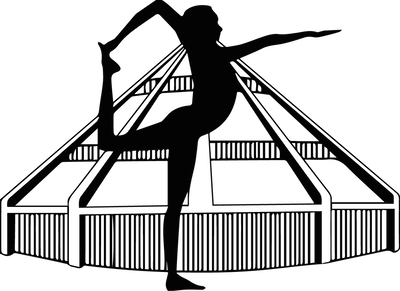 This is explored through a balanced asana practice (often referred to as postures or dynamic postures) and pranayama practice (regulating energy and using rhythmical breathing techniques to integrate life force). The ultimate goal is to enhance our experiential understanding for meditative and reflective states. Each session focuses on developing your skills to enjoy and practice yoga for yourself. Sequences are tailored to each individual, taking into consideration previous yoga experience. Some sequences may be designed with a therapeutic focus, however the basic intention is to arm you with the tools and skills necessary to develop your yoga practice. Chinese Medicine offers primary or complimentary health care to address and treat many disorders, diseases, conditions or ailments. 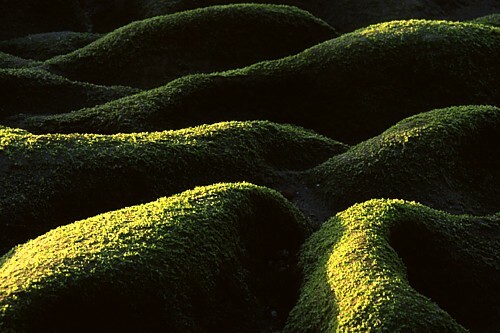 It involves a combination of traditional and natural treatment techniques. 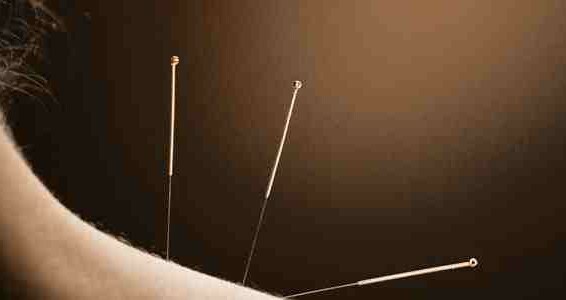 Perhaps the most recognisable treatment is acupuncture, where fine disposable needles are inserted at specific points along the body. 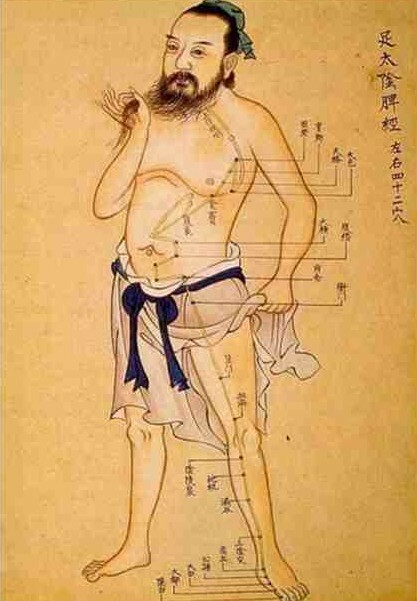 In addition to this treatment is the use of moxibustion, a herbal based heat application designed to assist supplementing reduced energy levels and tuina, more commonly known as chinese remedial massage. conditions associated with pregnancy ( morning sickness, induction for overdue labour, mastitis and associated lower back / neck pain). These intelligent and complete systems of health offer a powerful way to address a myriad of health concerns and whom also offer inspirational and motivational practices that enhance not just your health, but also your quality of life. Learn to create energy, generate awareness and develop clarity, balance and ease in your life. My interest in the body started at 3, on sprung-mat floors in a gymnasium. 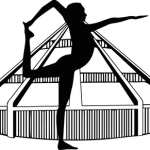 Jumping, flipping, swinging and tucking where exhilarating experiences. It was a foundation for my interest in health and the relationship between mind and body. At age 6, I was selected to join an elite gymnastics team (NSW State Sports Centre) and put to work on a rigorous training schedule 2-3 hours every day, with an extended 8 hours on Saturdays! Saturdays are a breeze these days but the intensity of training and practice I experienced back then remains. Ballet and dance were natural extensions of this, which is where I later developed a sense for the artistic expression I found in yoga. The connection between ‘experience’ and the body have been an important feature in my learning and development as a practitioner. And where our mind fit into the equation has been an ongoing investigation that endlessly fascinating process of discovery – how we see ourselves, how this makes us feel, how this shapes our choices and our capabilities. It really is the journey of better understanding ourselves so we are able to do the things we love more – like jumping, flipping, swinging and tucking, or just enjoying a quiet Saturday with a clear mind. 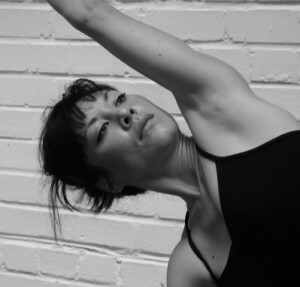 Rebecca is a certified Iyengar Yoga Teacher (Introductory Level 2) and offers classes in the tradition of BKS Iyengar. Rebecca completed her B.H.Science Majoring in Traditional Chinese Medicine at the University of Technology, Sydney in 2002. Rebecca continued to develop her skills through a rigorous Iyengar Yoga Teacher Training Program for a further 8 years, with esteemed and highly respected Senior Iyengar Yoga Teacher (Certified Senior Certificate Level I) Peter Thomson. Rebecca has also trained in Clinical Pilates (DMA Certificate Level 1) and STOTT Pilates (Reformer Syllabus). She has continued to develop her skills with teachers throughout Australia, South-East Asia, China and India. BKS Iyengar, Geeta Iyengar, Prashant Iyengar, Peter Thomson and Sue-Ellen Kohler. Rebecca has worked in a variety of clinical environments. She has shared her work experience along side physiotherapists, occupational therapists, osteopaths and psychologists. Rebecca has consulted in regards to treatment strategies as well as developed exercise rehabilitation programs for injured patients. Rebecca has taught in private colleges, universities and with professional sporting teams. I have been working with Rebecca for over a year. I started because I heard yoga could really help with improving recovery between games. Rebecca has been able to meet these demands of the game and also address many old injuries that have been nagging me for years. I have no doubt she has helped extend my career through preventing further injury. I’m a convert. Over the last few years, I have done an hour of yoga a week with Rebecca. After more than a decade of professional football, she has increased my body awareness and understanding of how the body works and how it's all connected. She knows her stuff really well and gets her message across in a fun and enlightening way. Highly recommended for anyone who likes a healthy body and clarity of mind. Who doesn't?" I was always interested in yoga and so did lots of different drop-in classes and beginners' courses over the years. It wasn't until I joined Rebecca's class that I actually felt like I was learning something that would take me somewhere: rather than just mimicking the teacher at the front of the room, I realised I was learning the fundamentals I'd been missing all along. Rebecca has an amazing vocabulary for teaching yoga which makes her instructions easy to understand, follow and remember. In my work I spend 5 very long days a week at a desk in front of a computer. As I am getting older, I don't think my body could survive the week without my weekly yoga session. Rebecca has now been involved with CPFC for 4 seasons and I cannot express how grateful we are for her work. Her years of experience and dedication to learning and advancing her skills are second to none. In very simple terms 'Rebecca gets it'!! She understands the demands of football and professional sport and tailors her classes expertly according to the players needs at any given time of the season. I have no doubt that she has had a huge role in reducing our injury rate, improving players well being and ultimately increasing our club's success. I would recommend her to anyone looking to start this ancient practice to begin a journey which never ends! Cheers becs!! Private lessons with Rebecca over a two-year period helped me overcome a 20-year chronic back problem. I now have flexibility I could never have dreamed of, good posture and a pain-free life. I will always be grateful to her for that. Bec has a deep knowledge of yoga and the human body. She is also empathetic, intuitive and huge fun to be around. I believe I will always consider my lessons with her to be the single best financial investment of my life. As age was creeping up on me, knee soreness finally convinced me to ditch Saturday morning runs and try yoga practice with Rebecca. Rebecca’s experience in treating professional athletes was immediately evident and the benefits for my body were quickly evident. I am certain that the knowledge of body and mind that she has imparted has allowed me to keep enjoying sporting activities longer and recover from them more swiftly and with less pain. Rebecca’s sessions are very educational and I am glad to have benefited from my time with her. I’ve suffered from back pain for as long as I can remember as a result of competitive activity in athletics, basketball, boxing, kickboxing, and MMA. I’ve seen a number of physical therapists over the years ranging from chiropractors to podiatrists, masseurs and Reiki healers. I highly recommend Rebecca Tung as a masseuse and acupuncture practitioner. Her treatments are thorough, professional, intuitive, and caring. Her relaxed and humorous nature also made the treatments very enjoyable. Rebecca Tung helped me through some of the darkest physical moments in my life. When I tore my lower disks in my spine I thought the pain and lack of movement would never go away. With her Yoga and acupuncture skills she literally turned my life around. I have seen a reduction of close to 95% in pain and I am the fittest I have been in years. I can not recommend her services and skills highly enough. I have been 'treating myself' to Rebecca Tung’s wonderful treatments for the past 5 years. Rebecca's touch is at once tender and intense. She is an incredibly attentive therapist, skilled in her use of acupuncture and remedial massage. I recommend her to anyone who wants to feel rewarded and stronger! Rebecca really helped me during a difficult time in my career when injury was really affecting my game. We were able to concentrate on specific stretching and yoga techniques to help with my ongoing lower back pain. It was effective and a great addition to my exercise and rehab program. She was a unique and valuable part of our training program at the club. I have known Rebecca Tung for the last 5 years. In that time, the one thing I have learnt is that she is incredibly passionate about Yoga. During my time as Head Coach for the Sydney Roosters Rugby League Club, we became aware of the benefits of Yoga. Not only for the obvious benefits of an extensive stretch, but also the practicing of relaxation, mind control and focus. Rebecca was the official Yoga Instructor for 2 years and during that time Rebecca was to perform up to 2 sessions a week in various environments. During the sessions I was amazed at Rebecca’s ability to keep the group in tune with what activity she was trying to perform. This was to the point, where the players looked forward to the stretching; which is unheard of in one of possibly the toughest sports in the world, Rugby League. Not only would I recommend, but I would absolutely encourage any organization to add Rebecca and her Yoga sessions to your folio of activities. For more information about our services for sports teams and athletes please click here. Retreats are offered as a way for people to turn up the heat on their yoga practice and make a deeper commitment to themselves and their own personal goals. The work done during a retreat can help facilitate one’s intention to practice and create an experience to draw on for their lives back at home. This year Rebecca will be teaching a retreat at Tilton House just an hour drive from London. Tilton House is nestled under the South Downs with views over the Sussex Weald. Beautiful and serene surroundings, Tilton House provides a perfect location whilst we work on the mat. There are limited numbers, 12 – 14 people max which will offer us a great opportunity to make some solid changes in our body and work towards building a yoga practice that is going to make sense for your yoga back at home. Open to beginners and general level yogi’s. All catered meals are included. Seasonal vegetarian food or special diets will be accommodated. Access to beautiful luscious woodlands, local walks, tennis courts, or you can take a more relaxed approach. Additional Services: Massage, Osteopathy, Facials, Ayurvedic Treatments, Hot Stone Massage can all be arranged at an additional cost. Three Elements Health. Copyright 2014. All Rights Reserved.